A Bench led by Justice RF Nariman, a constitutional and corporate lawyer of undeniable eminence, has refused to stay the orders of NGT. The net effect of these developments is that Sterlite is free to commence operations as per the licences they have in place. As anticipated, the Sterlite imbroglio is back to where it truly belongs, for a wholesome solution. Be it the State or its citizens or the industry and its protagonists, not to forget the environmentalists, there is a pregnant pause as the appeal by the State of TN against the orders of December 15, 2018 National Green Tribunal, Principal Bench, Delhi, has been moved. A Bench led by Justice RF Nariman, a constitutional and corporate lawyer of undeniable eminence, has refused to stay the orders of NGT. Contemporaneously, the orders of the Madurai Bench staying the re-opening of the Sterlite plant pursuant to the go ahead from NGT has also been dissolved for now. 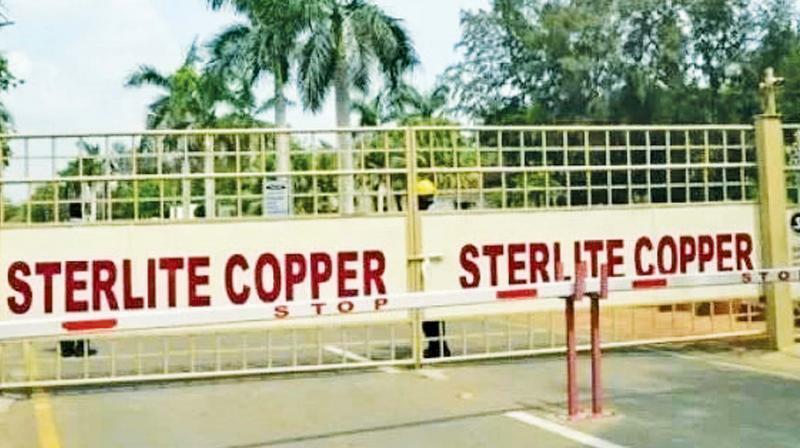 The net effect of these developments is that Sterlite is free to commence operations as per the licences they have in place. The State government or its agencies cannot hold off except at risk of being in contempt of the orders. The State Government may have 101 reasons of its own or to support the ‘mass movement’ against this copper industry major, but as on date the State is helpless and has no escape route to avoid the diatribes from the opposition that the State has not shown the gumption and political will to shut the unit and that the measures taken by them were an ‘eyewash’ (as leader of Opposition MK Stalin has pejoratively christened it). What can the State then do? Of course, they can always approach the Supreme Court yet again, and point out that the environment was not ‘conducive’ to permit the re-opening of the plant in the wake of death of 13 persons in a police firing, not long before and still in the hearts and minds of people. Law and order could be a dicey proposition and therefore seek to persuade the top court to ‘reconsider’ its refusal to stay the NGT orders. That would be a tall order, given the nuances at play. Or, the State of TN can accept the fault lines in the orders challenged before NGT and approach the Supreme Court to seek to withdraw the impugned orders with liberty to pass fresh orders taking note of all issues and after affording Sterlite a fair and reasonable opportunity to respond as well. That can only improve the case of the State of TN to go ballistic with better factual and legal ammunition, but would certainly not enable them to keep the plant shut until then. The right of Sterlite to right royally keep the plant open and running is here and now. The State can only hope for an early hearing of the appeal, while offering their commitment to shut the plant for good, and unless there is a new or subsequent cause of action after today, the State may have little option but to face the reality. Lest they face proceedings in contempt, be it before the Supreme Court or before Delhi High Court for not abiding by the orders of NGT. May be ruling dispensation can call for an all-party meeting like they used to when Cauvery was on the boil, to reduce the acidic fumes from the Sterlite plant.